EARTH Surf is much more than just surfing. It is a way of life, in close interaction with nature, where exploration and adventure prevail on performance under the spotlight. It is taking you back to the essence of free surfing, be as one with the environment and take this whole journey as an escape from the outside world, fun and relaxing, Deep into Nature. 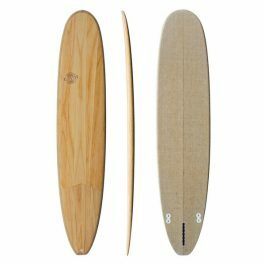 The new 9’ Driftwood Earth is a longboard with an ultra-classic shape, excellent for noseriding but with no compromise on manoeuvrability. The hull design starts with a slight concave at the front end, melding into a subtle “V” in the center section, then transforming into a double concave “V” at the rear. The front section rocker is stretched and flat, and the board’s generous volume combined with narrow, thin rails make it a superbly comfortable ride with great straight-line course precision. It’s a classic recipe, because it’s one that really works ! And it’s 100% tested and approved by our team rider Alexis Deniel. This board is aimed at any and everyone looking for a great design that will be as pleasing on dry land as it is out on the water ! 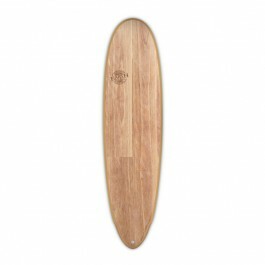 It comes with a 10” centre fin, plus two composite wood and glass fibre twinzer fins. The California groms who helped test and develop this board called it the “Burrito” because of its outline shape. The name stuck because, just like its namesake, this board is satisfying and addictive. It is the right board for surfers who love to put in a lot of hours in the water, even when the surf is less than perfect. This board is uniquely balanced to provide maximum floatation and plane surface right where you need it to catch small waves and fly across flat sections. Turn sloppy beach breaks into fun, liquid skate parks with a Burrito! The 8’2 Time Cruiser has a timeless shape, which guarantees a lot of fun. This classic longboard will delight all fans Longboard. It can be operated as a single or twin fin (for more control). Shape: Round, bevelled edges with a small concave under the nose, which merge into a rounded V-shape to a flat V under the Pin Tail. Slightly flared Rails provide maximum lift. Renewable energy, recyclable products and environmentally friendly actions are more than ever the focus of the company. This idea is also at BIC Sport in the first place. WitH the brand new brand EARTH surf the eco-conscious thought is lifted to a new level. 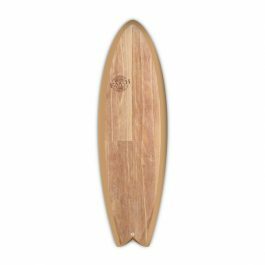 Each board of the range is produced from renewable and recyclable materials with biological origin. It is a production method used, which waste products and the energy consumption is minimized, as well as any toxic paints and resins. The result is relatively easy, unique and robust board with a matt wood finish. Each EARTH surfboard will be a loyal companion on all surf adventures. The 9’4 SixtyNiner Log is a tribute to the roots of longboarding. The shape is based on the first hardwood surfboards with which the first surfing experiments were started. 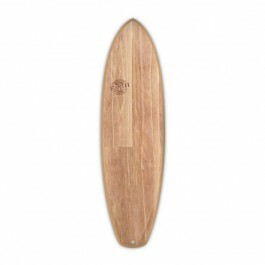 The board has a traditional longboard outline and an extra wide Square Tail. Shape: round, beveled edge with a concave under the nose, which merge into a V-shape to the tail. The recessed step-like Rails allow simple Noseriding and dynamic bottom turns. 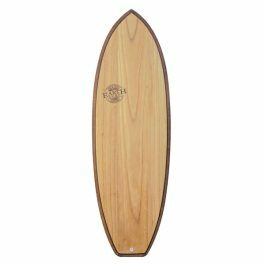 The 6’0 Robert’s Quad Fish is the perfect mix of vintage and modern. The thick flat deck with a recess toward the Rails provides maximum lift for fun even in small waves. As Twin or Quad (for maximum speed) set-up available. This board provides extra speed with the front foot and gentle control with the back foot. The name says it all – this “Swiss Army Knife” is suitable for the majority of all web users, and works in almost all wave conditions. Our shaper Gerard Dabbadie has designed this board with a focus on easy paddling and sliding and simultaneously maximum control on the rails. It can be operated both as a thruster or in Quad fin setup. Shape: Single Concave + V-shape at the rear to ensure maximum control in bottom turns. The 6’8 Bonzer embodies the return of a myth. The popular shape is inspired by racing boats and has been optimized to revive the 70s. The Board provides unique speed and liquid turns. The Bonzer is driven with a 7 ‘center fin and the legendary Bonzer Twin fins in order to achieve maximum control. Shape: A round V-shape below the nose to flow the water into a double concave to the Finns. The sleek edges ensure predictable turns. Those looking for maximum speed, will feel at ease Bonzer. The Egg 7’0 Winger is the ultimate fun board. It provides ample length for smooth gliding. The flat rocker makes the shaft yield a cinch. Shape: Round beveled edges with a single concave under the nose, which merge into a V-shape with double concave. The wings of the Pin Tail maximize control while surfing on the edges. This board is for easy entry into surfing and guarantees instant fun.